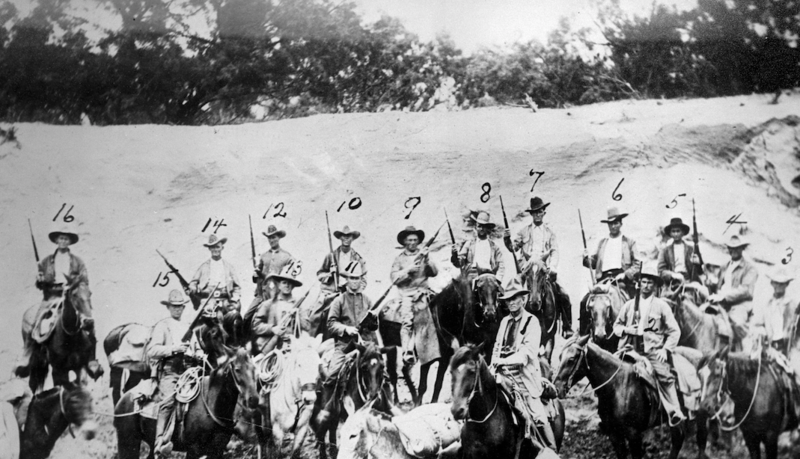 Co. E. on horseback, taken May 3, 1918, eight miles west of Del Rio. 983/112 R-447-1, Texas Department of Public Safety photographs. Archives and Information Services Division, Texas State Library and Archives Commission. One hundred years ago Sunday, a posse made up of Texas Rangers and the U.S. military raided the border village of Porvenir in the middle of the night. The lawmen took 15 boys and men of Mexican descent to a bluff and shot them. The Porvenir Massacre is a little-known dark stain on Texas’ history. Historian Glenn Justice says the massacre happened during a chaotic time. Texas Rangers and the U.S. Army were called upon to help. Justice says it was an act of retaliation and the victims were chosen not because of their involvement in raids but simply to set an example. For decades, very few people knew about this chapter in Texas history – there was no news coverage, plus Porvenir was in a remote location. That’s when Justice was working for the Texas State Historical Association as a staff writer for the Handbook of Texas. He read Walter Prescott Webb’s book about the Texas Ranger, which included one version of the story. He says that for a long time people thought only the Texas Rangers were responsible for the murders, but an archaeological investigation two years ago at the Porvenir murder site proved that most of the ammunition was from the U.S. military. The Porvenir Massacre may not be part of the story of Texas yet, but Justice says it should be. In the early 1950s, the threat of nuclear war and Communism cast shadows over much of the western hemisphere. And for a brief time, they darkened the pastures and hills of Central Texas more than anywhere else. Some Mexican Leaders Want To Revisit The Treaty That Made Texas A Part Of The U.S. The document that sealed Texas' entry into the United States is the Treaty of Guadalupe Hidalgo. 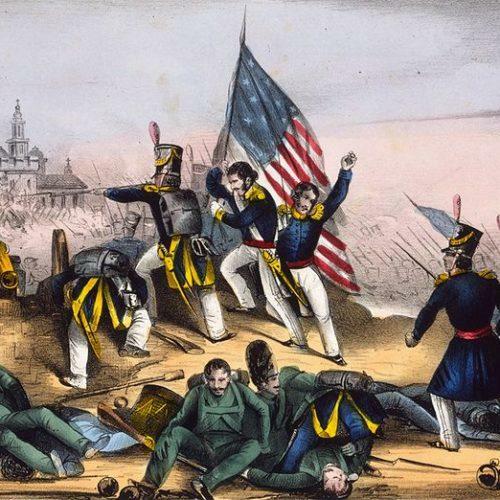 Mexican officials were forced to sign it in 1848, at the close of the bloody Mexican-American War. The treaty let the United States annex most of Mexico's historic territory and pay $15 million for the land in installments. At least half of Mexico’s regional territory went to the U.S. – what now is Texas, Arizona, New Mexico and California. Both countries would look much different if it were never signed, or if it were to be nullified.